The Vita-Rich Body Care Range is the latest from Johnson’s. Inspired by nature for healthy-looking skin, it consists of a range of body lotions, washes and soap bars that are enriched with natural ingredients such as rose water, grape seed oil, papaya and berry extracts. The body lotions are fast-absorbing, non-greasy and enriched with shea butter, while the body washes have added glycerine to help hydrate skin and the soap bars are enriched with fruit extracts and protecting oils to actively cleanse and revitalize the skin. Availability: All major supermarkets and pharmacies. The range has a body lotion and a soap and it’s perfect for everyday use which leaves your skin feeling soft and moisturized. Moisturizers are a huge must for me as I suffer from dry skin in winter and I’m always in search for a moisturizer that hydrates my skin for quite a long time. I’ve really been impressed with this product. It comes in a beautiful contrast of white bottle and pink cap packaging. The slim oval shape bottle consists of a pink flip open cover which shuts into place stopping the product from spilling. It really makes it travel friendly. It’s so very easy to open it. The pink cap makes it easier to differentiate the body wash from the body lotion. The colour of the crème is white and has thick gel type consistency. My skin absorbed it in no time and leaves my skin soft and smelling very pleasant,the fragrance is mild and has a floral sweet smell. I apply this product once a day but recommend you use the lotion right after your shower to lock in the moisture. You may use as much as you see fit but remember a little goes a long way! Go get yourself some, who know’s you might just love them just as much as I do. I used the berry body lotion and man does it smell nice. It is one of the nice reliable creams that one can use that is not oily and absorbs very quickly into the skin and left me feeling hydrated all day. I loved this product the very first time I tried it and have been using it ever since. I love the papaya and pomegranate. They smell great and leave skin feeling fresh. My whole family uses it so it means it must be doing something good! Well priced too. If you have very dry skin I advise adding a bit of glycerine to it. I have tried Johnson’s Vita-Rich nourishing body lotion and I love the smell. The smell is not strong nor is it light, it just has the right amount of scent. It feels smooth and leaves on a cool sensation after application which makes it ideal for hot weather. Easy to open but not too easy for the little ones. 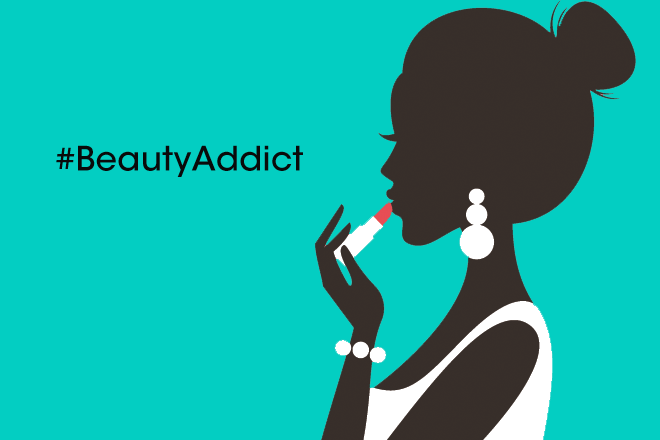 When I use it, I feel confident because of the scent it oozes and that it is long lasting. It makes me look forward to applying it again. This lotion can be used to repair dry skin. This lotion works for all skin types and for all ages because of how gentle it is, my toddler uses it too. One of its disadvantages for me is the thickness, it is too thin for me, I like my lotions a little thick. I would recommend this. With a scent that may be described as green, ‘clean’ and light, the grape seed oil soap within Johnson’s Vita Rich range invites a little luxury into your bath time ritual. An added benefit is that it lathers well and has impressive moisturising properties, leaving your skin adequately hydrated for hours. At the same time, the cleansing effect it has on your skin translates to an all-day fresh feeling. 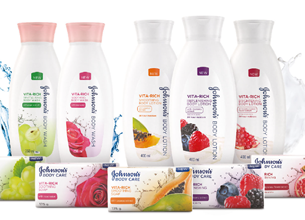 I have used the Johnson & Johnson’s Berry Mix and Papaya soap range. I adore the fruity lingering scent of the soap Soapy and the foamy lathering soft texture on my skin. It feel’s like your body has stepped in a fruit bowl bath tub.